HERITAGE CHURCH ORGAN COMPANY is a proud representative of the Allen Organ Company, the largest builder of church organs in the world! As an exclusive dealer with over 30 years experience, we currently service Utah, Arizona, Idaho, and Western Wyoming. We are committed to providing the highest quality instruments, factory trained technicians, and first class workmanship. 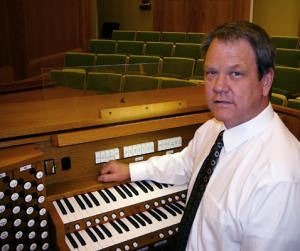 We are also a pipe organ service company that builds new, and refurbishes existing instruments. Our experienced staff works closely with our clients to select the organ that meets the needs of the entire music program, whether it be traditional or blended musical styles. HERITAGE CHURCH ORGAN COMPANY looks forward to meeting with you and learning more about how we can serve you, and your parish. Please contact us today at (801) 450-0287. LIKE us on Facebook! Watch us on YouTube!